Moving Tips We don't know anyone who really likes to move. It is not easy. It is a lot of work. Hopefully, the one good thing can be that you are making a move that feels right. We wish for all of our clients that your move is something that is right for you. 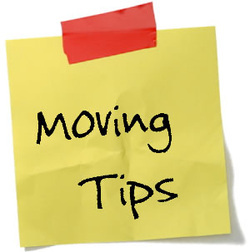 As part of our effort to make an actual move a good experience, we have created a list of “Moving Tips”. From all our years of actual moves we have learned a lot about the moving process. Getting Bids – Start looking for a mover and getting bids about 6 to 9 weeks before your anticipated move. Part of this process will be selecting the actual moving date that you want and coordinating the date of where you are moving to. Remember that if you have problems getting into your new location, there are options such as load and hold trailers or container storage that can allow for temporary and secure storage of your possessions while you wait for your new space to be available. Busiest Moving Times – The busiest moving times are always the end and the beginning of the month when monthly rentals, leases, property closings are scheduled. If you must move during these times, you really need to schedule your moving time early. 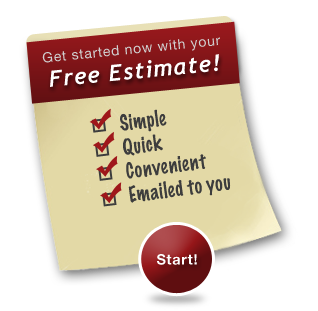 Moving Estimates – When calling for moving estimates here is some advice: Always get a quote from Moving Brothers, LLC. - remember that we are "The Recommended Mover". Our prices are very competitive. You may find someone that costs a little less but remember the adage that you get what you pay for. You are probably moving your life long possessions - Do you really want the cheapest mover? Small items should all be packed such as dishes, kitchen utensils, pictures, and mirrors. Even items such as lamps and lamp shades should be packed since they could be easily crushed. You don't need to pack TV's, microwaves (if there is a turntable in the microwave it should be removed and packed), lawn tools, mops, brooms, large sports equipment and bicycles. You may not want to pack your vacuum because you will need to do a final vacuuming before leaving the premise. Also do not pack your cleaning supplies so you can do a final cleaning after all items are removed from the premise. Items such as marble or glass tabletops, pool table slate, special antiques, chandeliers or other large, fragile items should be packed by a professional mover or crated prior to moving. Please ask about our crating services. For organizing your move, consider packing and boxing items by room clearly labeling what room they belong in. This is very handy when you move into your new space then the movers can put those boxes in the appropriate rooms. Mark your boxes on the side so when they are stacked you will be able to see what they contain. Another handy trick is to label some boxes (for each room) as Unpack First. This will let you know which boxes hold the most important day-to-day necessary items. When making and sealing boxes, be sure to seal every opening tightly. This includes all edges both top and bottom. For fragile items wrap them with two layers of unprinted newspaper per fragile item. The wrapping should be firm yet loose enough to cushion all of the items in the box and don't overcrowd the box. Definitely mark the box as fragile contents. Don't pack paints, turpentine or aerosol cans with your household items. These items are flammable and combustible and should be disposed of properly or given away. Refrigerators with icemakers and water dispensers should be professionally disconnected ahead of time to be sure that there are no leaking seals and that all water is drained. Some items you should move yourself. These include cash, securities, jewelry, furs, firearms, personal papers, collectibles, and family heirlooms. Note that we also provide Specialty Moving services for unusual items. Have Questions about the Moving Tips? If you have questions about your upcoming move and questions about moving your items please call us. We are pleased to be able to share any information and suggestions to make your next move less stressful and a great experience. For your next move we want you to try Moving Brothers, LLC and find out for yourself why we are “The Recommended Mover”. We hope you find our Moving Tips section helpful!